The last date for filing of income tax returns by individuals has been extended by a month- to 31/08/2012 from the earlier 31/07/2012. Though filing Income tax returns has now become simple and hassle free, we usually have a tendency of postponing return filing to the last minute, as a result of which it is not uncommon for people to miss this deadline. What happens if we are unable to file our returns on time? Let us understand the implications. Filing of return is mandatory only for people who earn an income over and above the specified basic exemption limits. For the financial year 2011-2012 these limits are Rs 1.8 Lakhs for men, Rs 1.9 Lakhs for women, Rs 2.5 Lakhs for senior citizens (above 60 years) and Rs 5 Lakhs for senior citizens above age 80 years. The law allows us to file a late return without any penalty till the end of the current assessment year i.e 31st March 2012. A late return can be submitted till one year from the end of the current assessment year i.e till 31 March 2014,but the tax authorities have the right to charge a penalty of Rs 5000/-. If you have any tax due to the government apart from the tax deducted at source on your salary and other income, an interest of 1 % per month will be levied on the tax amount due. MOST IMPORTANT-If you have any losses to carry forward under the following heads-business income or long term/short term capital loss, loss from owning race horses, such losses will not be allowed to be carried forward to be set-off against future income if the return are not filed on time. This does not apply to loss on house property. A belated return cannot be revised. 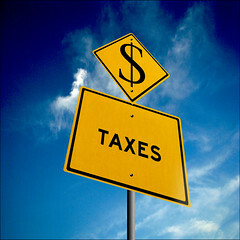 If you have a significant amount to be claimed back from the Income tax dept. as a refund, late filing of returns would result in a loss of interest on the tax refund.